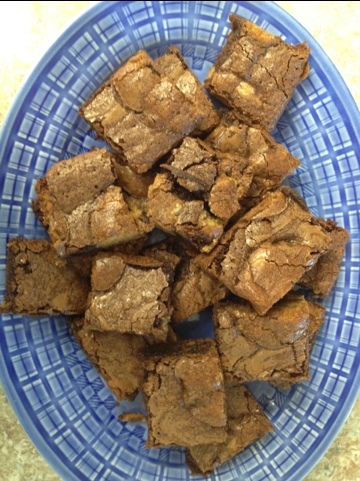 These babies are the result of a hot night that Mr. Chocolate Chip Cookie and Mrs. Brownie spent together… in secret… but I am outting them. Because the world needs to meet this baby. 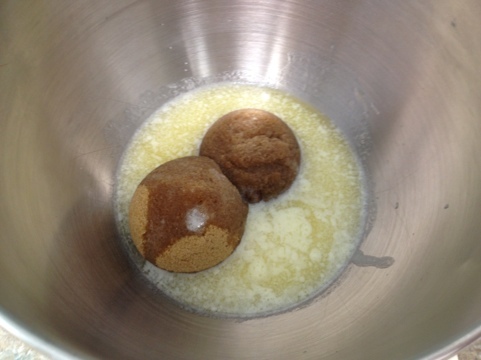 I saw them on Natasha’s blog Butter and immediately knew I wanted to make them. 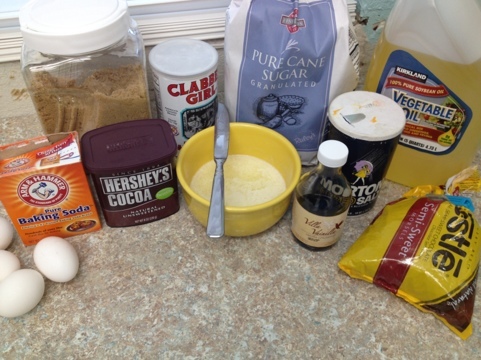 I adapted my recipe a bit based on ingredients I had on hand, but the idea was all Natasha’s. 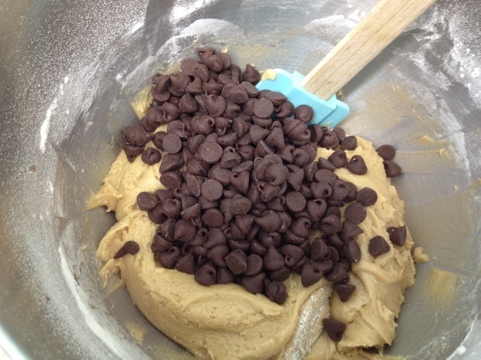 First we’re gonna start with some chocolate chip cookie dough. One of the best things in the world if you ask me. 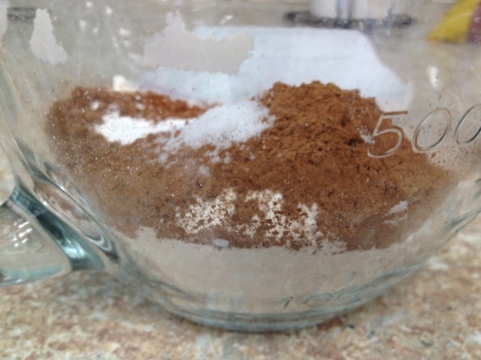 In a separate bowl, combine flour, salt, and baking soda. 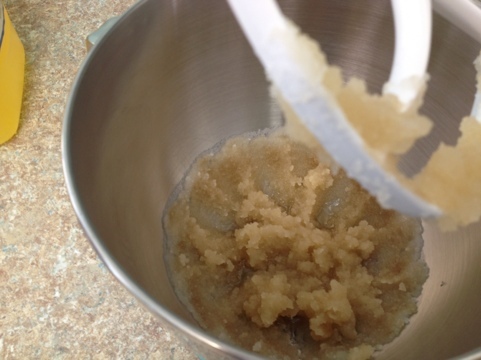 Slowly add to butter mixture until fully combined. Stir in chips by hand. 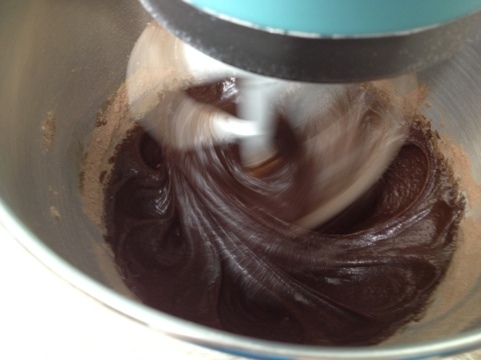 Next comes the brownie batter… I’ve mentioned before that I don’t like chocolate, which includes brownies. Don’t believe me? 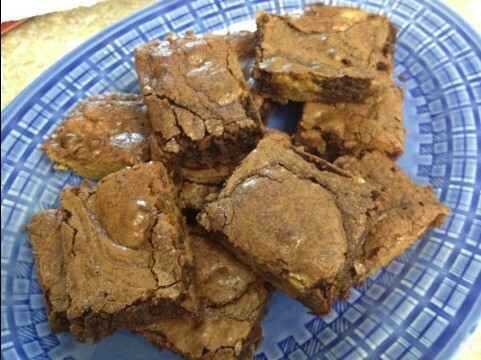 Search my blog for brownies. 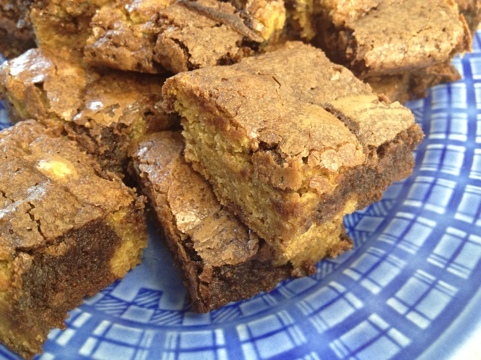 You’ll get 1 actual brownie recipe before this. 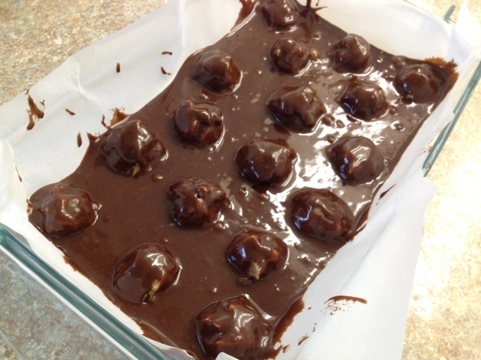 Anyways… I couldn’t use Natasha’s recipe because I didn’t have all the ingredients called for, so I used a recipe I found on AllRecipes.com. 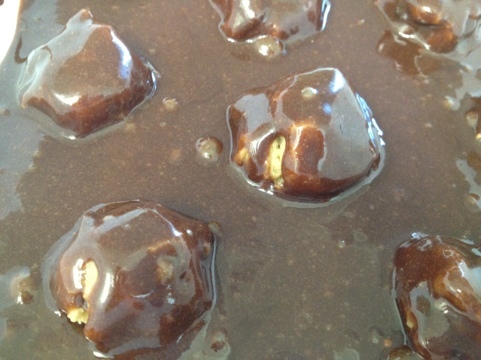 When I did a google search for “homemade brownie recipe” it was the first that came up. And it looked easy and that’s how I roll. Beat in eggs. Looks a little better now. 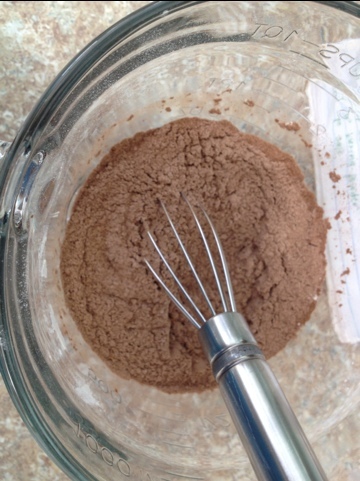 In a separate bowl, whisk together flour, cocoa, baking powder, and salt. 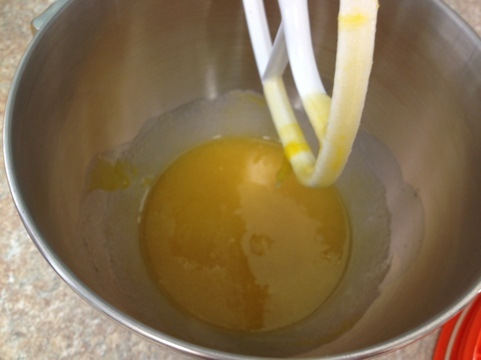 Slowly add to oil mixture until fully incorporated. 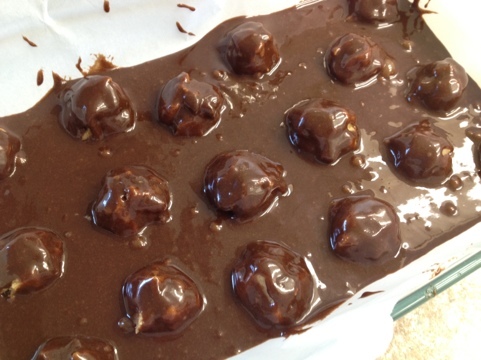 Pour over the cookie dough balls and make sure batter gets into each corner. Look how beautiful it is. Okay enough of that. Bake at 350* for 20-25 minutes. It took mine 25 minutes. Toothpick should come out with wet crumbs, but not wet batter. 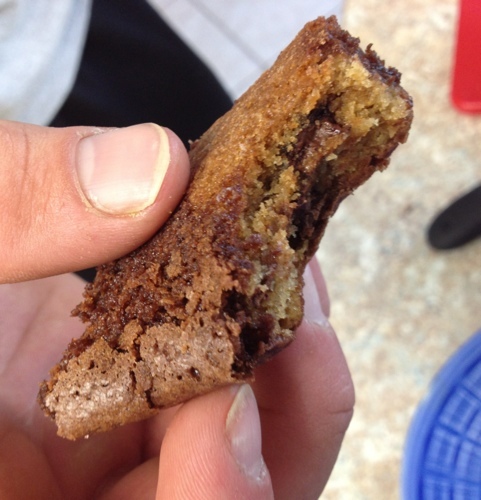 Half cookie amazingness, half soft rich brownie. Even I enjoyed these. Well, one anyway. I might have to wait till tomorrow to have another. 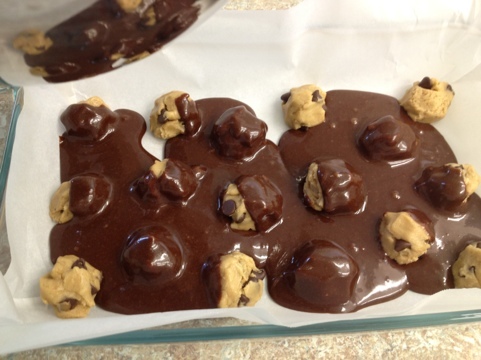 Next time I make these, I will press the cookie into the bottom of the pan (to form an entire layer) then pour the brownie mix on top. Even distribution would have made these even better! They look so good. I like your idea of spreading the cookie dough throughout the entire pan too! Glad yoy liked them Carrie! !